Donna Cummings, the lovely writer of humorously-ever-after romances, invited me to participate in a writing process blog hop! How much fun is that! Thanks, Donna! So, the way this works is that I answer four questions, then I ask a few more writers to tell me about their writing process. romance, Awakening a Witch. This book has been on my hard drive for a long time, and I still love it. What's not to love about an enchanted Scottish castle and a witch who doesn't know she is a witch? *tee hee* I'm also finishing the first draft of a novella, Chloe's Matchmaking Terrier, which is the next story in my Morning Lake series. Chloe is returning to her hometown, and reconnects with the guy she wished she'd dated in high school. Of course, they have a few things to resolve ... Anyway, I had hoped to be finished this little novella at Christmas, but alas sometimes life intervenes and you just need to roll with it. I can't wait to reveal the cover for Chloe's book! (I still haven't found the right look for Awakening a Witch ... Hmm. I may have to garner feedback on a couple of options.) On, and then there is my as-yet-unnamed contemporary paranormal romance, which I'm working through with my critique group. I find it difficult to assess my own writing. 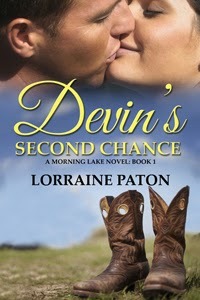 The first time someone said Devin's Second Chance made them laughed out loud, I was surprised, though delighted. 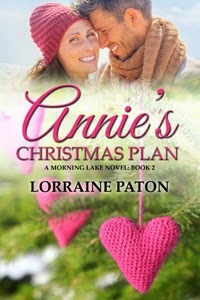 Then, the first time someone else said they cried while reading Annie's Christmas Plan, I was blown away. For my Morning Lake series, which is contemporary romance, I would say the defining characteristic is that they are stories that have both feet in reality. These are people you might know or meet, who are in situations you might have experienced, but there is always a touch of humor and there is always going to be a happily-ever-after. I write romance because that is what I love to read. I have read and enjoyed mysteries, literary fiction, fantasy and the classics--but the genre I always return to is romance. I love the optimism, the hope, the knowledge that no matter what life throws at these people that they will find their happily-ever-after. That faith in the rightness of love and relationships is continually renewed. Real life can be challenging and heart-wrenching, but romances--at least for me, and hopefully for other readers--reassure us that there will always be a light at the end of even the darkest tunnel. My writing process is a constant work in progress. When I wrote my first novel-length story, it was built around one scene. The scene had come to me in full detail, and then I set out about finding out who these people were and why they'd ended up in this situation. That scene became the climax of the plot line. I wrote--and still write--some stories this way. But, now that I'm working on the Morning Lake series, I find that things are a little different for this set of stories. This small Alberta town is full of characters determined to have their happily-ever-after, so I have the characters and then I have to get to know them and see how their wants / needs will come together. Starting with the characters is new for me, so it's been a fun experiment to develop this approach. Once I have the idea, whether it is the scene or the character, I think about it a lot. I go to bed with the characters nattering at me, I drive to work with them living out their lives in my mind's eye ... I do this until I can see the basics of the full story. Then I write. I usually start with the opening scenes and then a rough outline from beginning to end. I do this because I don't usually have the opportunity to write the full story immediately upon the idea's arrival. I have tried to plot with a great deal of detail, outlining each scene, but then I found that the spontaneity and fun of writing faded. So, when I outline now, I do so with the knowledge that I will not know everything there is to know about the story and the characters until I'm typing words on to the page. It makes writing a living entity for me, and, like all living things, sometimes it can be unpredictable (and I like it that way). An avid reader and Nancy Drew fan, Mahrie wrote her first mystery book at age eight and the handwritten copy of Mystery on Tancook Island still exists. Education, a husband and kids plus a busy career overtook her writing for many years. Over the years she read copiously, studied writing craft and shared her learning in workshops, conferences and courses and always kept writing, publishing non-fiction, short stories and poetry as Mahrie Glab. She has now come full circle, returning to writing mystery novels, this time with a touch of romance. 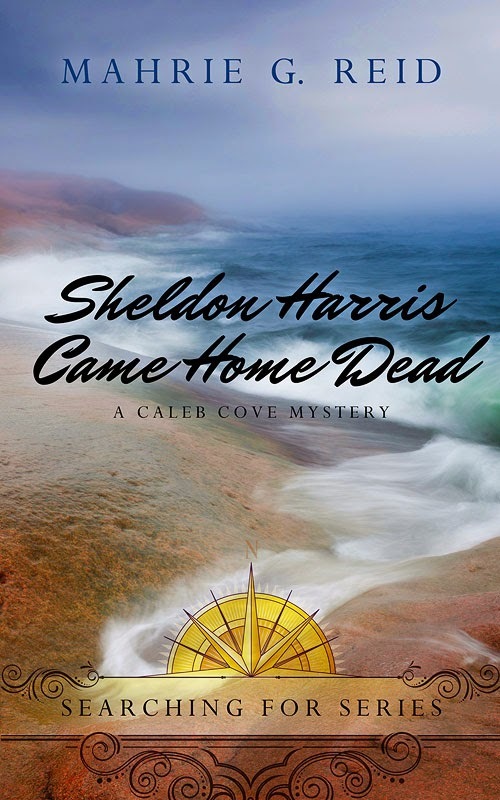 The first in the Caleb Cove Mysteries series, Sheldon Harris Came Home Dead was published in February, 2014. Book 2 is scheduled for release later in 2014. Mahrie is a member of Alberta Romance Writers Association, Crime Writers of Canada and a graduate of Calgary's Citizen's Police Academy and Private Investigation 101. After being thrown out of England for refusing to drink tea, Marlow Kelly made her way to Canada where she found love, a home and a pug named Max. She also discovered her love of storytelling. Encouraged by her husband, children and let’s not forget Max, she started putting her ideas to paper. 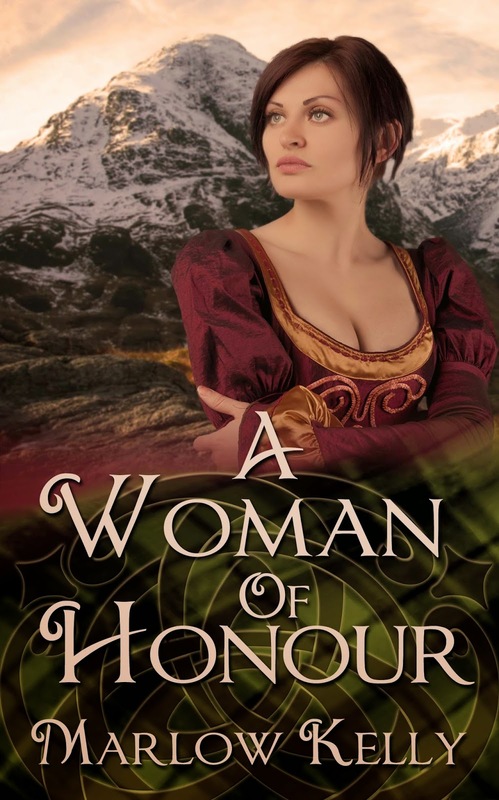 Her need to write about strong women in crisis drives her stories and her curiosity regarding the lives and loves of historical figures are the inspiration for her characters. Marlow has published several short stories some of which can be found in the short story section of this site. 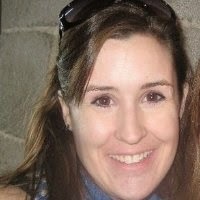 You can connect with Marlow on her blog at www.marlowkelly.com and on Twitter. Victoria Smith dreams of traveling the world. She's giving it a good try, having visited some 32 countries to date, and will be adding a further five to that list at the end of 2014. When she can't actually be in another country, she likes to write about them. Her "Girl Tries" series is set on a remote Scottish island, and she is plotting out her Southeast Asia backpacking novel - convenient, as that's where she and her husband are traveling to. By day she works in Social Investment, by night she makes a really good cat lady. You can connect with Victoria on her blog at girltrieslife.wordpress.com at and on Twitter. Do you enjoy romance novels? If yes, why? You are a busy girl. I agree with writing being a living entity too and I agree - regardless of what I try to write, it always comes back to the 'feel-good' emotions of love appearing to be lost and love found. Good luck on all your endeavors. I always find it fascinating to read about other people's processes. How they write.